A first edition of 30 "magical hymns", reconstructed from the content of the papyri—and sometimes from disjecta membra scattered among several papyri—, was published at the end of the edition by K. Preisendanz and A. Henrichs (eds), Papyri Graecae Magicae: Die griechischen Zauberpapyri, Stuttgart, 1973-4, second volume (henceforth Pr.). Bortolani's book is not a reworking of Pr., nor an edition of all the "magical hymns", but it offers a new and detailed edition of a number of these texts, with a commentary that focuses on addressing a particular historical question. In Pr., the search for the Urfassung ("archetype") was a quest for a previous, non-magical, stage of these ritual songs, generally under the assumption that these verses could be traced back to "purely" Greek poetry (see a survey of the question in W. Brashear, "The Greek Magical Papyri", ANRW II.18.5, 3420-2). Subsequently, however, this enterprise of reconstruction has been questioned, and a stylistic approach has been favoured that seeks the Greek or Egyptian origin of the conception of the divine conveyed by the hymns (R. Merkelbach and M. Totti, Abrasax: ausgewählte Papyri religiösen und magischen Inhalts, vol. I-II, Opladen, 1990-1, henceforth MT). Bortolani follows this path (28-32): her goal is not to rebuild a "pure" form of the hymns she studies but to identify their Greek and Egyptian features, through comparison with corresponding hymnographic traditions. Multiculturalism is characteristic of the "magical" genre of the texts, although Bortolani chooses not to discuss at length the notion of "magic" (p. 13). In fact, the "cultural fusion" or "juxtaposition" (p. 12) in the style and content of the hymns themselves gives them this "magical" appearance; features such as the so-called voces magicae are considered as "incorporations" and therefore a trace of the re-working of previous, "religious", hymns in a "magical" context where those "magical" features could be the result of the intercultural practices of Hellenized Egyptian priests. The ritual use of these hymns implies power in words, which is not discussed here. Instead, Bortolani has chosen to explore the theology, which lies "outside mainstream religion" (p. 14) but builds on a "supranational development of divinity" (p. 26). Yet, as Bortolani says, some "distinguishing features… are still traceable to the specific deities in their original cultural environment" (p. 26), and it is possible to ask: how "Greek" and how "Egyptian" are these divinities—and their hymns? To sift through the Greek, Egyptian, and—eventually—"magical" ingredients in the hymnic composition, Bortolani turns to a comparative method, considering first the characteristics of Greek and Egyptian hymnographies, with their differences in patterns of praise, which are stylistic rather than structural, and in theology (see p. 32-50). The strongest point of this book is in its comparative content, which provides detailed information on the hymnographic background of the hymns selected here.1 Bibliography and Indices (Index of subjects, Egyptian epithets discussed, locorum, Greek words [personal names of deities and divine entities, voces magicae]) confirm that the entire work should be a useful tool for subsequent studies. From time to time, Bortolani proposes corrections based on autopsies of the papyri and literary comparisons. Numerous features can be related to both Greek and Egyptian traditions, e.g. the narration of cosmic reactions to the divine epiphany, which is a topos of Apollonian hymnography, but which also records the themes of reverential fear of the god in Egyptian hymnography (pp. 71-3 and 120-4). Sometimes, the intercultural nature of the texts invites odd translations of Greek words, such as φύσις to be understood as "creation", if one admits the underlying Egyptian notion of ḫpr (pp. 130-2). The insertion of Homeric material into the hymns is discussed in the Conclusions (pp. 345-9). H. 5.2 adapts a line from the Odyssey (4.458), recalling Proteus, shape-shifting deity living on the shores of Egypt, in a hymn to Horus Harpocrates (pp. 157-8), and showing how Greek literature can imbue Egyptian hymnography with a "Greek touch". Bortolani clearly demonstrates that these "magical" hymns had different routes of transmission: some of them may have indeed drawn upon older Greek hymns, while others rely on Egyptian hymnography, incorporating some Greek features, and invoking Egyptian deities through Greek language and metrical patterns. On the other hand, hymns to Hecate, and especially the diabole of the H. 13, invoke a Greek deity in an Egyptian ritual procedure. Therefore, some of the "magical hymns" appear to have been composed "ad hoc in a magical milieu" (p. 277), that is in a recent, already intercultural setting, and more specifically for "magical" purposes. 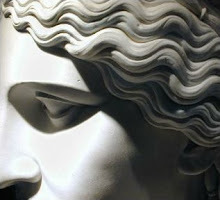 According to the Conclusions, the "male deity" is mostly concerned with prophecy, that is dream oracles, lamp divination, and necromancy, but also attracting love, acquiring divine assistants, and consecrating rings. Lunar/chthonic hymns specialize in attracting love and cursing. The "magical" stage of the composition is considered responsible for interferences such as the interpolation of voces magicae (which rarely fit the rhythm), and references to the ritual in the hymns. However, it is only in the "lunar hymns" that ritual cannot be separated from "praising passages", hence these hymns are genuinely "magical". Bortolani offers a detailed analysis of the epithets of the goddess, many of which are hapax legomena or adjectives exceptionally used as divine epithets (see an attempt of classification of the sequence of epithets in H. 11, pp. 254-63). Bortolani discusses the possible identification of Isis behind the Hecate of these "lunar hymns", but argues convincingly for its impossibility (pp. 369-79). In the end, Bortolani raises the hypothesis of an Anatolian background, which might necessitate further discussion. On the contrary, "solar" and "Apollonian" hymns appear to be material born in clearer cultural backgrounds, even after being reworked for the magical purposes. More precisely, the "Apollonian hymns" show a higher degree of continuity with the standard style of Greek hymnography, while the language, structure, and style of the solar/creator gods' hymns can generally be traced back to Egyptian hymnography. We might ask why foreign elements have intermingled in these Egyptian hymns: Bortolani answers that they thereby not only gained a Hellenized audience, but also increased their ritual power, which would be the main concern of the "magical milieu" in which they would have been reworked (p. 380-1). At the same time, the fact that more foreign elements have been added to the Egyptian gods than to Apollo or Hecate is a sign of the Egyptian point of view of the authors: Apollo and Hecate were already foreign enough to make "magic" with (p. 381-4). The "solar/creator god(s)" and the "lunar/chthonic goddess(es)" are not the only deities of the PGM, and even not the only beneficiaries of hymnic logoi; other powers are addressed elsewhere by less poetic, even silent, rites. Bortolani does not edit, e.g., the logoi addressed to Hermes/Thot (see p. 29 n. 73, and brief comment, p. 390). Focusing on each of the main deities invoked may suggest the idea of a "magical" henotheism, but a closer reading of the texts, in fact, reminds us how deeply polytheistic these hymns could be. Quite interesting is the fact that the hymns to Apollo also include hymns to Daphne, that is invocations addressed to a deified plant, for which we could add a comparative material such as the prayer to Myrrha in PGM IV 1498-593. We might ask what picture, not only of the cultural origin, but of the whole conception of the divine could arise from an exhaustive study of the versified prayers in the PGM? Bortolani does not question the genre of the "magical hymns",3 but thanks to her edition and commentary, they are more accessible and meaningful, opening new studies not only from a Greek perspective, but with the transdisciplinary lens they demand. Hecate-Selene's diabole: H. 13 [B. 298-321], version A = PGM IV 2574-610, and version B = PGM IV 2643-74 (4th c.); both = H. 19 [Pr. 255-7]. 1. Judeo-Christian vocabulary is present in some hymns, and therefore commented on by Bortolani. Some comments merit further examination, e.g. on the "Judeo-Christian" background of words such as δεσπότης/α, κύριος/α, παντοκράτωρ, ἄγγελος, which belong equally to a Greek manner of expressing divine powers. 3. The metrical/prose and cultic/rhapsodic nature of these hymns is discussed in I. Petrovic, "Hymns in the Papyri Graecae Magicae", in A. Faulkner & O. Hodkinson (eds), Hymnic Narrative and the Narratology of Greek Hymns, Leiden/Boston, 2015, pp. 244-67, not in the bibliography.